According to “people familiar with the matter” that spoke to the Wall Street Journal, the Galaxy Nexus on Verizon will debut this month at $299 on contract. No one should be surprised by that, since we have seen it at this price time and time again on their minimum advertised price lists. 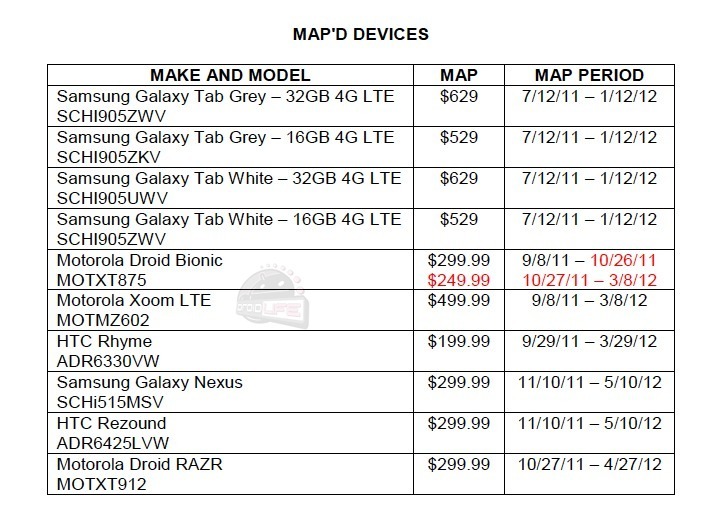 We also have seen every major 4G LTE device come in at this price dating back to the DROID Charge. Sure, we saw a $199 price pop up on a Black Friday ad, but again, that was a Black Friday ad and is the day that almost everything on the planet is discounted. If there was going to be a $199 price, we would have expected that to be the 16GB model of the phone rather than the 32GB version that is expected to be available in the next few days. Let’s just say that you should probably plan on paying $299 on contract or $649 at full retail come this Friday. Assuming the phone will be here this Friday, of course.